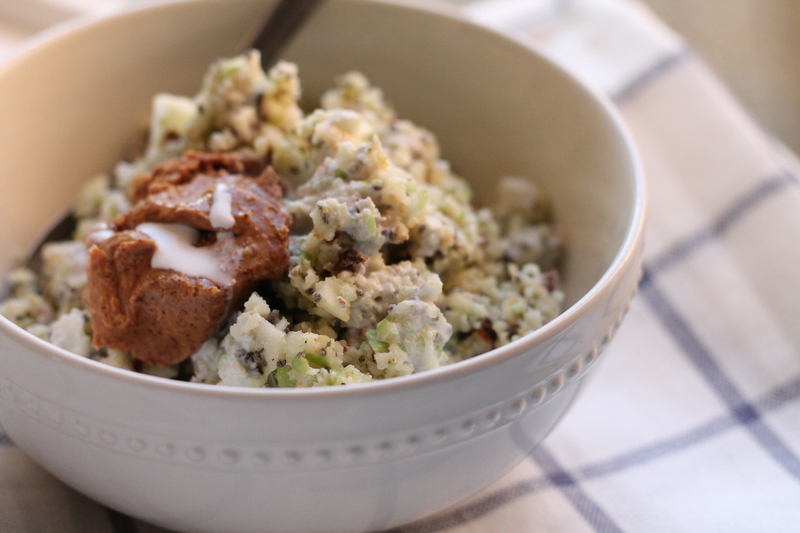 One of my trusty Whole30/Paleo breakfast recipes has been this one. Even without the eggs that I often think I need, this keeps me full until lunch and is super satisfying. One of the reasons I love this recipe so much is because it's packed full of nutrients that really help with your milk supply while breastfeeding. Before you start thinking it's only for breastfeeding, it isn't. Foods like almonds, flax, and high fat coconut milk are just good to have. I personally like the flax because it is a known galactagogue. Why else do I love it? Well, all you have to do is pop it into the food processor and it's come together in under a minute. That is, it comes together quickly if you are a meal prepper. On Sunday's, if I'm eating this for breakfast for the week, I'll portion out all of the ingredients minus the almond butter, milk, and apple; so that all I have to do is toss it into the processor come morning. 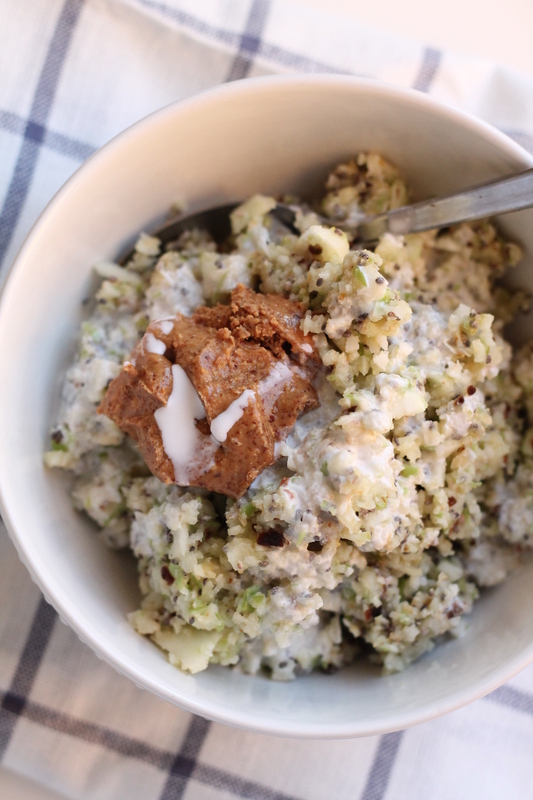 Put all ingredients minus the coconut milk and almond butter into a food processor and chop into a mince. 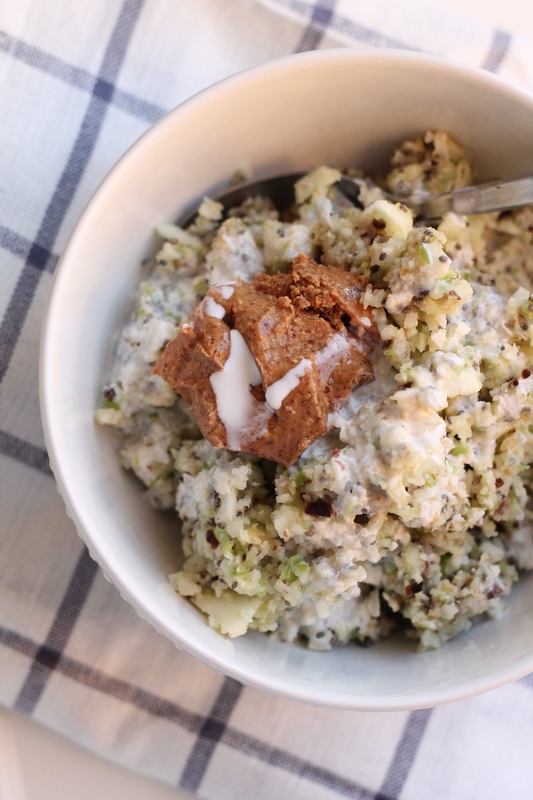 Place mixture into a bowl and top with a spoonful of almond butter and a splash of coconut milk. Enjoy.